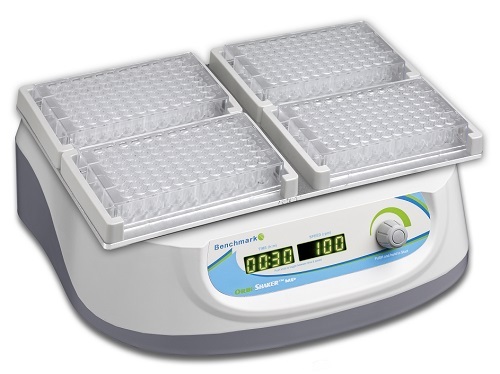 Plate Shakers that are designed to hold multiple plates, usually four, are designed for the thorough mixing of samples and assays in microplates and PCR or assay plates. The ability to agitate multiple plates at one time can significantly increase your assay throughput and save you time at the bench. Below are some of the best options available at Pipette.com for plate shakers for multiple plates, no matter what your requirements or applications are. 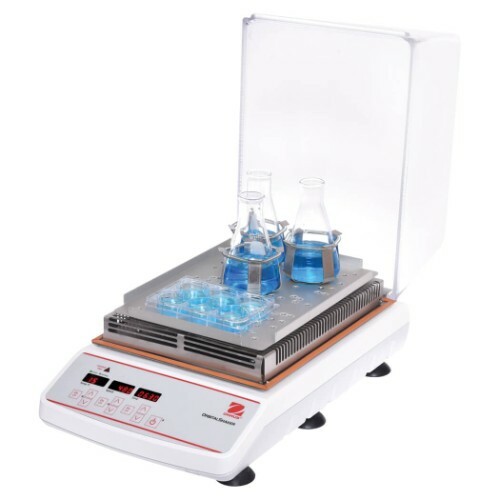 The Oxford LP BenchMate S4P-D Four Plate Shaker – Unique Features Providing Flexibility for Scientists. 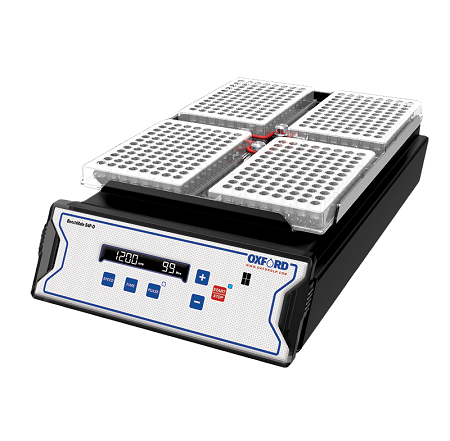 The Oxford LP BenchMate S4P-D offers a programmable pulse mode for vigorous shaking, possesses a last run memory feature for ease-of-use when repeating assays and is compatible with all standard skirted microplates.